The fact that Chris Berman actually works hard would surprise most people. Chris Berman is not as smart or clever as Keith Olbermann. Chris Berman has had his job for a very long time, but isn’t as good at it as Vin Scully. People who like things not to be stupid are the ones who don’t like Chris Berman. 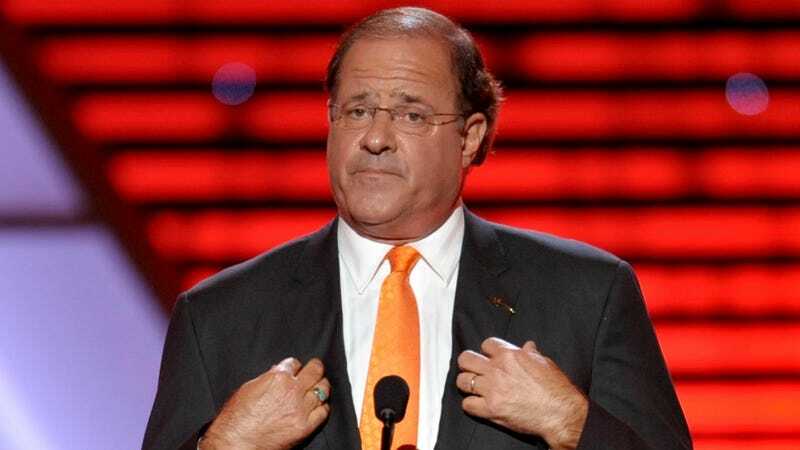 Chris Berman lacks professionalism and integrity. Chris Berman is not as witty or quick as Dan Patrick. I am the quarterback of ESPN. Unlike his peers, Chris Berman never had much else going on in his life. Chris Berman is worse than Craig Kilborn. Chris Berman doesn’t have much going for him.